Posted by llh66 aka "The Book Junkie"
Children with extraordinary psychic powers are being used as pawns in a deadly supernatural war. Jasmine “Jazz” Tandy and her nine-year-old son Chaz, who can heal people with his touch, are fleeing from a ruthless organization that kidnaps these children. Children such as Kaylee Daley, who can control and manipulate plant life, and Mara Fleming, who can see into the future. Their only hope for salvation is a covert group called the Guardians, who protect these children from the organization’s merciless hunters. Dr. Larssen Sössnacher, the organization’s leader–called “Soulsnatcher” by the remarkable children he abducts and exploits–believes Chaz is the miraculous prodigy who will grant him the immortality he craves… and he’ll stop at nothing to get Chaz. Cody Jackson, a Guardian and martial arts and weapons expert, rescues Jazz and Chaz from Soulsnatcher’s hunters and takes them to Homestead, a safe haven where the children learn to use their powers to help others. But Soulsnatcher’s hunters raid Homestead and battle the Guardians in a surreal deadly showdown–with the souls of all the children as the ultimate prize. Colleagues and readers alike have dubbed Kerry Alan Denney The Reality Bender. The multiple award-winning author of the paranormal thriller SOULSNATCHER (Lazy Day Publishing, April 29, 2014 – ISBN 978-1499251777) and the post-apocalyptic sci-fi thriller JAGANNATH (coming from Permuted Press February 3, 2015 – e-book ISBN 978-1-61868-413-4, trade paperback ISBN 978-1-61868-412-7), as well as numerous short stories and eight novels, Kerry blends elements of the supernatural, paranormal, sci-fi, fantasy, and horror in his novels and short stories: speculative fiction at its wildest and craziest. With joy, malicious glee, and a touch of madness, he writes reality-bending thrillers—even when the voices don’t compel him to. His protagonists are his children, and he loves them as dearly as he despises his antagonists… even when he has to kill them. Kerry was awarded Honorable Mention in L. Ron Hubbard’s Writers of the Future contest in 2013 for his short story Something in the Air, is the First Place Winner of the Atlanta Writers Club Fall 2013 short story contest for In the Night She Comes, and the First Place Winner of the Atlanta Writers Club Fall 2009 poetry contest. Several of his stories and poems have been published online and in various anthologies, including the critically acclaimed Old Coot and A Clatter of Hooves. 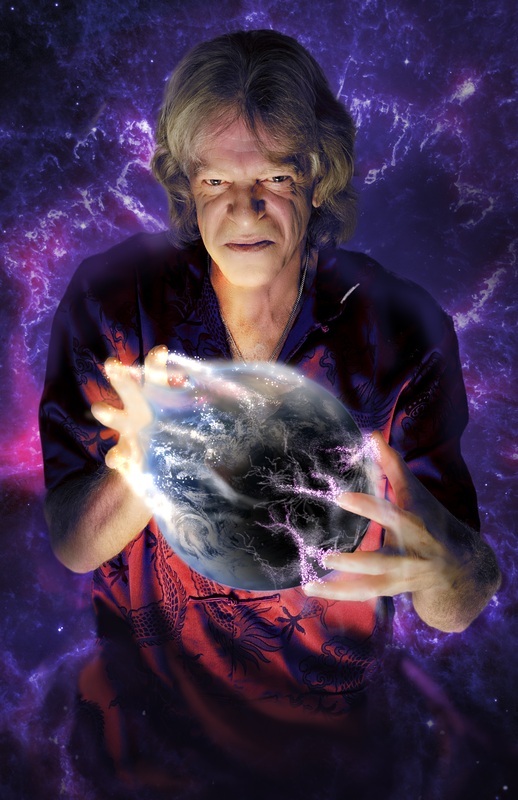 He has appeared at book-signings and spoken as a guest writer on author panels, has appeared in several online author interviews including The Bookie Monster and Dark Moon Digest, was the guest author on The Apocalypse Nana Show, a live Internet radio podcast, on October 30, 2014, was the guest author on The Doug Dahlgren Show, a live Internet radio podcast, on November 10, 2014, and is scheduled as the guest author on the Authors-First Show, another live Internet radio podcast, on January 13, 2015. His writers’ critique group was a top ten finalist in Writer’s Digest’s 2014 “What Makes Critique Groups Work” competition and was featured in an exclusive online article. His novel SOULSNATCHER received a rave testimonial from New York Times bestselling author James Rollins, has been spotlighted on various blogs and websites, and is receiving rave reviews and ratings from readers on Amazon and Goodreads. Kerry supports his fellow authors, and also features various author interviews on his blog, and welcomes interested authors to go to http://www.kerrydenney.com/request-an-author-interview-guidelines-and-policies.html to submit your information to receive his Questionnaire and be considered for an interview. Kerry lives with his Golden retriever Holly Jolly, a professional Therapy Dog, and is currently writing his next supernatural novel and trying his best to remain rooted in this dimension—and trying to decide which characters he’s going to kill. Special thanks to Lori Hayes at The Book Junkie blog for her Spotlight on SOULSNATCHER!